Ireland’s official further study event for undergraduates, graduates and people returning to full-time and part-time education. From Masters to Mphil's, Teaching to Research, there are further study options to suit everyone. Postgraduate study: What's right for me? Information on funding options available to postgraduate students. Guy has been assisting Irish students to apply to undergraduate and postgraduate programmes in Europe, for over five years. He is a leading authority on the hugely significant trend in the increasing globalisation of higher education. Marie has been employed as the Careers Officer in ITT Dublin for over 13 years providing both undergraduate and postgraduate careers advice and support to students from a broad range of disciplines. She previously worked in Portobello College as the Careers Advisor for 8 years. Marie brings a significant wealth of experience having been working directly with students in the higher education sector for all of this time. Marie studied Psychology as an undergraduate in NUI Galway, completed a postgraduate Diploma in Business in Smurfit Business School and is MCIPD qualified from DIT. Marie has also completed qualifications in Emotional Intelligence and Levels A & B Psychometric Testing. Margaret has worked as a Careers Adviser in further and higher education in England for thirteen years. Having previously taught in a secondary school and delivered training in a corporate setting, her interest in careers in teaching led to her becoming chair of the Teaching Task Group of AGCAS, the UK’s professional body for the Higher Education Careers sector. The task group’s guides to training to teach and getting a teaching job in the UK are published on the Targetcourses and Targetjobs websites. The group also provides training on careers in education for AGCAS members and liaises with relevant government agencies to be a voice for students and graduates considering entering the profession. When not at work, Margaret can usually be seen wrapped up in woollies and waterproofs enjoying the fantastic countryside of the North East of England, Cumbria and the Scottish borders - the reward for spending her early career in London. Terry Allen is from Dun Laoghaire, Co. Dublin and is a faculty member at Hibernia College. He has particular interests in the areas of school leadership and teacher education. He holds a First Class Honours Masters’ Degree in Education (School Leadership, NUIM, 2004) and is a primary school teacher with 34 years’ experience, 27 of which have been as Teaching and Administrative Principal. Gill has a Master’s degree in Victorian Literature and initially qualified and worked as an English teacher. She is a UK qualified Solicitor and practised as a Solicitor in medium and large firms in the UK for 12 years before moving to Ireland. She has over 18 years’ experience in teaching and tutoring, 10 of which are with the Open University in Ireland. Gill has a keen interest in working with students to develop their skill range, taking account of new ways of learning and working to maximise potential. Angela Collins is the Head of Careers and Careers Advisor at Waterford Institute of Technology. She is enthusiastic about working with undergraduate and graduate students to help discover their passions and assist them in developing their career, academic and personal goals. She enjoys interacting with students of many backgrounds and perspectives. Angela is an active member of AHECS and has served on a number of, committees and working groups over the years. An Cosán Virtual Community College (VCC), is changing lives and communities through online education. VCC is an education initiative to scale the work of An Cosán in Tallaght West. We empower people to learn using the latest virtual, online and mobile technologies. Working closely with our Community Partners, VCC caters for learners who have not benefitted from mainstream education, offering a wide range of accessible accredited and non-accredited courses. All of our courses are designed to respond to community education needs and we fully support students to reach their potential. Bangor University is a top 50 UK university situated in North Wales, which Lonely Planet rates as the 4th best region in the world to visit. With excellence in teaching, world-leading research and over 150 postgraduate courses, Bangor combines a high-quality academic experience with a lifestyle to match. For over 50 years, Canterbury Christ Church University has made an outstanding contribution to education. Our Faculty of Education provides outstanding programmes, projects and research for thousands of teachers in all sectors of education and all stages of their careers enabling teachers, schools and colleges to become leaders in learning. Located in a vibrant European capital city, Cardiff Metropolitan University is a thriving and modern university. Integral to the city of Cardiff for more than 150 years, we continue to invest in our students’ future with a focus on student employability and enhancing the student experience; providing education and training opportunities of the highest quality to students from over 140 countries worldwide. Chartered Accountancy is Ireland’s leading internationally recognised business qualification and the single biggest graduate employer in Ireland year after year. Chartered Accountancy offers many benefits including international recognition, impressive salary progression and better pass rates. So if you want to join the ranks of the top players in your industry, now you can with a Chartered Accountancy qualification. Chartered Accountants Ireland has a network of over 25,000 members worldwide. Our members work at the highest levels of Irish business with 6 out of 10 Chartered Accountants working in the role of Finance Director or more senior. Every year a growing number of graduates select CIT as the destination of choice for their postgraduate education. As a CIT Masters or PhD student, you can expect the support of staff that will guide and mentor you along your chosen career path. Whether pursuing a research or taught programme, you can expect to work on solving complex problems in cutting-edge research and innovation that is linked directly to Ireland’s smart economy in areas such as art, bioinformatics, optoelectronics, medical devices, sustainable energy, healthcare, media & communications technologies, electronics, information technology, entrepreneurship, marketing and music. Of course, it also helps greatly that CIT boasts state-of-the-art buildings and laboratories with world-class facilities that enable postgraduate students to reach their full potential. The fact that CIT researchers attract funding from enterprise and from a wide range of National, European and international funding programmes provides the financial engine that supports these graduates in following their postgraduate dream. DCU is a young, dynamic and ambitious university with a distinctive mission to transform lives and societies through our education, research and innovation. Since admitting our first students in 1980, DCU has made incredible progress. To date over 50,000 students have graduated from DCU and are now playing key roles in many sectors across the world. In 2016/17, DCU will deliver over 120 programmes to almost 16,000 students across its five faculties – Humanities and Social Sciences, Science and Health, Engineering and Computing, DCU Business School and DCU Institute of Education. More than 20% of DCU’s students are registered as postgraduates. DCU is a diverse, multi-ethnic community with over 2,600 international students from 109 countries. DCU’s excellence is recognised internationally and it is ranked among the top 50 young universities worldwide (QS ‘Top 50 under 50’ and The Times Higher Education ‘100 under 50’). As one of Europe’s most dynamic young business schools, DCU Business School is truly alive with ambition. Being responsive to the needs of people, organisations, economies and societies is at the heart of all of our globally ranked Master’s Degrees, which offer clear routes to career progression in a wide range of business areas. Dublin Business School (DBS) is Ireland's largest independent third level institution with a student population of over 9,000 and the potential to deliver over 100 accredited programmes at both undergraduate and postgraduate level. Dublin Business School specialises in the provision of career-focused postgraduate education and the delivery of contemporary programmes in areas including psychology, counselling, business administration, marketing, ICT and law. Whatever stage you are at, the right postgraduate programme will give you an edge in the employment market. You might be planning to take time out of your career or you may be just completing your primary degree. Across a range of disciplines, DIT is committed to giving you the complete postgraduate experience. Wherever you need to go, we’ll help you get there. Our commitment to industry placements and our focus on practice has ensured so many of our master’s graduates have carved out successful careers in their chosen field. DIT is ranked in the top 4% of universities worldwide. From state-of-the-art lecture theatres to purpose-built labs and engineering workshops, you are assured of an excellent learning environment with great facilities. Studying at DIT ensures you will be right at the heart of Dublin City. For you, this means easy access to many forms of public transport bringing you to our new campus in Grangegorman and existing sites in Aungier Street, Kevin Street, Bolton Street and Cathal Brugha Street. Located between the bustling cities of Liverpool and Manchester, Edge Hill University offers PGCE's across early Years, Primary, Secondary and Further Education and Training. We also offer a full range of Taught Masters and Research opportunities. Funding and Bursaries are available across many of our programmes. The German Academic Exchange Service (DAAD) is the largest funding organisation in the world supporting the international exchange of students and academics. We provide information about studying in Germany and offer funding to study and carry out research at German institutions of higher education. Scholarships are available for all disciplines. GCU is one of the UK’s leading modern universities, with a graduate employment rate of 96% and a commitment to contributing to the Common Good. We offer over 70 career-focussed postgraduate Masters programmes between our city-based campuses in Glasgow, Scotland’s largest city, and the UK’s vibrant capital, London. Courses range from Accounting and Finance, Business Management, Fashion and Retail, to Computing, Construction, Engineering and Healthcare. Goldsmiths has been part of the world-famous University of London for over a century, and has an international reputation for combining academic excellence with innovation. We offer a range of study options in subjects covering the arts, humanities, social sciences and computing. Join a network of ambitious students, staff and alumni, and study a subject you love, in an environment where you’ll be given the support you need to succeed. Hibernia College, Ireland’s only accredited online college is a specialist in providing postgraduate programmes. Among the college’s most popular programmes are the Professional Master of Education in Primary education and the Professional Master of Education in Post-Primary education. These programmes are delivered through a blended learning approach and offer an accessible route into teaching. IBAT College Dublin is a progressive Institution embracing innovation and new models of education to enable students and graduates to become leaders in the business world. Combining state-of-the-art facilities for postgraduate and professional education (including an MBA Debating Chamber) with extensive information and learning services, a postgraduate programme from IBAT College Dublin will help you to realise your full potential. IBAT College Dublin offers postgraduate and professional programmes that will make a significant contribution to the achievement of students strategic and operational goals. Innopharma College of Applied Sciences is the award-winning, premier education research and technology institute for industry-led education and training programmes in the Pharmaceutical, MedTech and Food industries. Innopharma College of Applied Sciences has grown to become one of the top institutions in Ireland delivering world recognised qualifications up to Masters’ degree level. All our education programmes are developed with your career advancement in mind – consisting of a unique blend of industry focused modules and practical workshops. Many of our lecturers have extensive experience in industry and engage in a high level of coaching and mentoring with students. Innopharma College of Applied Sciences programmes, are the number one choice for graduates and experienced professionals seeking to upskill and advance their careers in the Pharmaceutical, MedTech and Food sectors. The Institute of Certified Public Accountants in Ireland (CPA Ireland) is one of the main Irish accountancy bodies with 5,000 members and students. The CPA designation is the most commonly used designation worldwide for professional accountants and the Institute’s qualification enjoys wide international recognition. The success of CPAs in securing employment in industry, the public sector and private practice in over 40 countries reflects the value of a CPA qualification. It’s a strong brand which builds strong connections. The CPA Accountancy qualification is open to everyone, from school leavers and graduates to mature students and professionals. The Institute of Technology Blanchardstown (ITB) provides third level education in the greater Blanchardstown region. Our mission is to design and deliver education and training that is relevant and responsive to economic and social needs both locally and nationally. ITB offers a range of postgraduate programmes including Applied Cyber Security, Data Science and Analytics as well as our new Master of Engineering in Internet of Things Technologies. We offer courses on a full-time and part-time basis, as well as online programmes at undergraduate and postgraduate level. The Institute of Technology Carlow has grown to become one of the most successful and 4th largest of the 14 institutes of technology (IoT) in Ireland. IT Sligo is one of Ireland’s leading third level Institutes of Technology. Situated along the world famous Wild Atlantic Way and is home to almost 6000 students, of which, 2000 are online learners. IT Sligo is recognised as the leading provider of digital (online) education across the third level sector on the island of Ireland. Situated on a single modern 72-acre campus, there is ample, high quality accommodation available to students of IT Sligo. 75% percent of it is within walking distance of the campus.The Institute is located close to Sligo town centre and, when it comes to the cost of living, Sligo can justifiably lay claim being one of the most affordable towns for students to live and learn in. It is also one of the select number of urban centres across Ireland to receive Purple Flag status. This prestigious international designation means that the town centre has been recognised as an area of excellence in creating a safe and well-managed evening and night time environment. The Irish Research Council is the voice of researchers in Ireland. It was launched in 2012. It is an agency of the Department of Education and Skills, and operates under the aegis of the Higher Education Authority. The core function of the Council is to support excellent frontiers research across all disciplines and all career stages. It places a particular focus on early-stage career researchers and promotes diverse career opportunities for researchers by partnering with employers. The Council also has a particular role in supporting research with a societal focus, and has established partnerships across government and civic society. Further information: www.research.ie, @IrishResearch, #LoveIrishResearch. Qualiﬁed Irish students are invited to apply for master’s or Ph.D. programs as part of a partnership between the Higher Education Authority (HEA) and King Abdullah University of Science and Technology (KAUST). This fully funded scholarship opportunity covers programs in key science, engineering and biological science disciplines. The Diploma Centre has provided continuing professional education for over 20 years. Our postgraduate courses are open to solicitors, trainees and barristers with a number of our courses welcoming suitably qualified professionals. We offer a diverse range of courses, all of which are available online, live and on-demand. Le Cordon Bleu is the most prestigious and established cooking school in the world with over 120 years of teaching the highest standards of culinary techniques and management knowledge. Courses at Le Cordon Bleu London range from certificates earned in just 11 weeks to the coveted Grand Diplôme, a 9 month programme in cuisine and pâtisserie, considered as the passport to the culinary world. Liverpool Hope University is a unique university with a rich history dating back to 1844. Our beautiful campuses mix traditional and modern architecture with stunning grounds. We have almost 7,500 students studying a range of undergraduate and postgraduate degrees across our three faculties; Arts & Humanities, Education and Science. Liverpool John Moores University offers cutting-edge, real world and research programmes in a wide variety of disciplines. Our postgraduates benefit from working with academics involved in innovative research and exciting business consultancy projects. This, together with significant investment in excellent facilities and our relationships with a wide range of organisations mean our postgraduates are highly sought after by employers. Loughborough is a truly exceptional, internationally-renowned university; offering taught and research opportunities in heart of England. We are ranked 4th in the Guardian University Guide 2017and Loughborough rose to 7th place overall in The Complete University Guide 2017. Life at Loughborough has a strong community feel. It’s a factor we pride ourselves on and is all down to one key element . . . our people. Loughborough University is known for offering a life-changing student experience, which is why we were recently ranked first in the Times Higher Education Student Experience Survey 2016. Have any questions about postgraduate study? Loughborough University London is able to offer taught and research opportunities to graduates looking to widen their career prospects and make their dream career a reality. Established exclusively for postgraduate study combining influential thought leaders, pioneering researchers and creative innovators to deliver the best postgraduate experience London has to offer. At Maynooth it is the individual that matters; the university is renowned for its supportive educational ethos. Our small class sizes and one-to-one guidance from senior lecturers and global researchers challenges and inspires students giving them the support they need to reach their potential and to build a stand out resume/CV. MU offers a wide range of full and part-time Masters, Diplomas or Research programmes, in specialist areas including business, law, computer science and education. NCI has full and part-time postgraduate programmes in Management, Marketing, Finance, HR, Non-Profit Management, Learning and Teaching and an MBA Programme. We also offer MSc and postgraduate diplomas in Cloud Computing, Data Analytics, Fintech and Cybersecurity. All courses are delivered from our convenient city centre campus. NUI Galway is ranked among the top 200 most international universities in the world, and is one of Ireland’s top universities for graduate employability, with over 91% (average, over last five years) of postgraduates employed or in further study within six months of graduation. We are ranked in the top 250 universities in the world (Source: QS University Rankings, 2015). Our courses are developed based on industry needs, and our cutting-edge research feeds into these courses, setting you apart in the jobs market. Our learning environment is close-knit and supportive, and our teaching facilities on campus are world-class. Please go to www.nuigalway.ie/courses for more information. Northumbria University, Newcastle offers a wide range of postgraduate taught courses, designed to equip you for leadership in today’s global workplace. All courses are underpinned by cutting-edge multidisciplinary research, with PhD and Professional Doctorate opportunities available in all subject areas. NTU is a popular choice for students in the UK and Europe. We have an exciting portfolio of courses across three diverse campuses. Nottingham itself is a great student city in the centre of the UK, with around 60,000 students. Gain a highly respected postgraduate qualification with the Open University without putting everything else on hold to achieve it. We are experts at combining flexibility with quality, so everything about learning with us is designed with convenience in mind. Queen's University is one of Ireland’s oldest higher education providers. Located in Belfast we are Ireland’s only Russell Group University and are in the top 1% of Universities worldwide. At Queen’s we offer postgraduate courses that come with a promise of value: to produce world-class graduates and provide you with the skills you need to take a leading role in business and industry at home or internationally. Our programmes are divided into taught degrees (Masters degrees including MA and MSc) and research degrees (PhD and MPhil). As a postgraduate student at Queen's you will have access to our newly established Graduate School which is a dedicated study and social space for our postgraduate community. This inspiring and stimulating environment will provide an intellectual hub where you can meet other students, enhance your skills and share ideas. The combination of academic excellence, additional training opportunities and our links to employers means that Queen's University Belfast is a world class choice when it comes to postgraduate study. Welcome to Queen Margaret University! We offer students a friendly and supportive community environment where our thoroughly relevant teaching and research are designed to meet the changing needs of students, employers and society. We have widely recognised expertise in health & rehabilitation, sustainable business and creativity & culture. The Royal Agricultural University offers a range of Postgraduate courses in the land based sector and our great relationships with employers mean Postgraduate students enjoy an employment rate of 95%. Based in the beautiful Cotswold region of England, our small campus has an intimate and friendly feel. As a dedicated health sciences institution, RCSI is wholly focused on developing healthcare leaders who make a difference worldwide. RCSI has a long heritage of providing health sciences education for more than 200 years. It has been a distinctive feature for generations that the College enjoys a vibrant combination of nationalities and cultures where our students from around the world exchange ideas and learn from one another. Our students enjoy the full ‘RCSI Experience’, which extends beyond the curriculum, to a rich tapestry of student clubs and societies that equip our graduates for a life of leadership and civic participation. SOAS University of London is the only Higher Education institution in the UK specialising in the study of Asia, Africa and the Near and Middle East. SOAS has a diverse population of over 2200 postgraduate students from more than 130 countries and offers over 115 postgraduate programmes in law, social sciences, arts & humanities and languages & cultures with a distinctive regional focus and global relevance. Ranked as London's top university for Student Experience, Good Security and Sports Facilities by Times Higher Education, and second in the UK for Teaching Satisfaction by The Guardian, St Mary's University in Twickenham welcomes students from all over the world to our beautiful campus in the London borough of Richmond-Upon-Thames. SUSI is Ireland's single national awarding authority for all higher and further education grants. SUSI offers funding to eligible students in approved full-time third level education in Ireland and also, in some cases, funding for students studying abroad. We offer support to all types of students from school leavers to mature students returning to education.We process applications under the criteria set out in the Student Support Act 2011, the Student Regulations and the Student Grant Scheme. Applications are made online, please visit the SUSI website www.susi.ie for further details. The Undergraduate Awards is the world's largest academic awards programme. We aim to recognise and celebrate the best of undergraduate research. Ranked in the Top 20 Business Schools globally (Eduniversal 2016) and No. 1 Business School in Ireland (QS world rankings 2015), Trinity Business School is committed to achieving the highest level in academic excellence for our students. Our series of top ranked MSc and MBA programmes are designed to create great careers for our graduates. As a research-led university, our students are given the opportunity to work alongside inspiring professors – global leaders in their fields – in a common enterprise of discovery. The Trinity curriculum isn’t just about imparting knowledge; it’s aimed at developing the critical faculties of the mind, through freedom of expression, willingness to engage in debate, and original research. 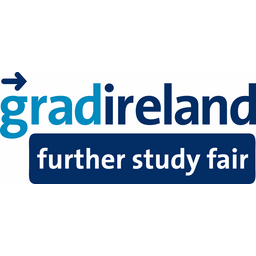 Meet the Smurfit Admissions team at the gradreland Further Study Fair to learn more about our globally ranked and accredited MBA and Business Masters courses. Discover more about our dedicated and beautiful campus, located in Dublin, Ireland. Please see our website for more details on our Masters Programmes. Ulster University is a modern, multi-campus university delivering high-quality teaching informed by world-leading research. Each year we offer at least 150 new doctoral scholarships across all our faculties including 30 for international students. These include the payment of fees plus an annual stipend of £14,553. University College Cork (UCC) is the comprehensive globally-oriented research-led university of the south of Ireland providing the full range of disciplines and playing a key role in the development of Ireland’s knowledge-based society. As Ireland’s first five-star university UCC boasts a vibrant, modern, environmentally sustainable campus and a top-ranked student experience. UCD Graduate Studies offers a wide range of high quality graduate programmes across its six colleges. There are approximately 8,000 graduate students enrolled in UCD. Founded in 1495, University of Aberdeen is the 3rd oldest University in Scotland. Ranked in the world top 1%, we offer programmes across Arts & Humanities, Business, Social Sciences, Law, Engineering, Geosciences, Life Sciences, Physical Sciences and Medicine. With a student population of 14500, of which 34% are international, Aberdeen is a great place to study and have a truly international experience. With over 23,000 students from 120 countries worldwide, UEL is one of the UK’s most diverse and fastest growing universities. We have postgraduate courses that are highly respected and highly relevant to professional careers. That's why the majority of our masters courses are professionally accredited, helping our students to get to the next step in their career. Influencing the world since 1583, the University of Edinburgh is a world-class institution - attracting the best students and staff from across the globe. We were placed 19th in the world in the 2016/17 QS World University Rankings. With over 36,000 students from over 140 countries, we’re one of the largest and most diverse universities in the UK. Over 5,000 students are currently registered for taught postgraduate degrees at the University of Glasgow. Top 10 UK modern university for student satisfaction (PTES, 2016) Postgraduate specialisms include Art and Design, Natural and Social Sciences, Business, Sport and Exercise, with Irish students currently studying Landscape Architecture and Psychology. Based in Cheltenham and Gloucester, the University of Gloucestershire is one hour from Birmingham and Bristol airports. The University of Huddersfield is an award winning university, receiving national recognition for our work across a number of teaching and research fields, top of all universities in England (source: HEFCE) for the best-qualified staff in the sector and were named the Times Higher Education University of the Year 2013. The University of Kent has an established reputation for the quality of our research, confirmed by our excellent performance in the Research Excellence Framework (REF) 2014. We are ranked 17th in the UK for research intensity, 97% of our research is of international quality and our score for research power has increased by 59%, the third largest increase of the top 50 research intensive universities. The University is a major educational, economic and cultural force throughout its region with well-established external networks and partnerships around the world. Choosing where to undertake postgraduate studies can be a life-changing decision that profoundly influences the rest of your academic life and, indeed, your career. UL offers high quality degree programmes which are relevant and current for the world in which we live. Our broad range of full and part-time postgraduate programmes combine innovative teaching methods and award-winning faculty with state-of-the-art facilities. UL’s graduates are in high demand by employers, with the employment rate of UL graduates, one year after graduation, being consistently higher than the national average. A position we have held for well over 10 years. Our Cooperative Education and Careers division are instrumental in ensuring that UL graduates lead in terms of employability and their door is always open for postgraduate students considering their next step. The university has a commitment to providing an outstanding student experience in what is considered one of the most beautiful campuses in Europe. The University of Salford is a practical, technical, professional university with taught and research degrees across seven areas, including arts and media, business, the sciences, the environment, health sciences, nursing and midwifery, and the built environment. Join our postgraduate community and learn from internationally recognised academics in outstanding facilities and make your home in one of the best cities in Britain for student life. A member of the Russell Group, we invest in ambitious, interdisciplinary research projects and the way we teach gives you the freedom and support you need to achieve great things. The University of South Wales is one of the largest universities in the UK, offering students more opportunities and bright prospects. Our students benefit from superb programmes, facilities and support, as well as our growing reputation as a major university for jobs and employers. University of South Wales students benefit hugely from the University’s location, surrounded by breathtaking scenery and impressive historical landscapes. It boasts excellent transport links and the buzz of two dynamic Welsh cities: Cardiff and Newport. The University of Stirling offers you an inspiring, engaging and collaborative postgraduate experience. We are committed to ensuring you realise your potential, equipping you with knowledge and expertise in your chosen field of study, combined with lifelong career management and employability skills. No matter what discipline, background or country you’re from, it’s our job to ensure you feel part of Stirling’s vibrant and growing postgraduate community. We're a leading international technological University located in the heart of Glasgow, Scotland's biggest city.Our commitment to useful learning guides our research, our learning and teaching and the way we work with businesses and organisations. WIT offers a broad range of taught and research postgraduate programmes up to PhD level across six faculties; Business, Engineering, Health Sciences, Humanities, Lifelong Learning & Education and Science & Computing. WIT is full of bright, motivated students working with inspiring academics to realise their ambitions. Our supportive learning environment is complemented by an excellent reputation for research, securing almost €150 million in research funding over the past 10 years. Postgraduate study: What's right for me? There are a myriad of postgraduate courses to choose from and it is often overwhelming for the potential applicant on where exactly to start? What is the difference between a taught Masters and a Research Masters? What is a PG Diploma? How difficult will it be? Have I the time …. the passion …. the commitment…? What is my best option ? Should I consider full-time, part-time, distance learning? Is it essential to where I want to go? Will it give me an edge? These are just some of the questions to be considered and explored if you attend the presentation “Post-graduate study – What’s right for me? The UK education system offers opportunities to teach in a wide variety of different types of school, offering you the chance to make a real difference in the lives of children and young people. With a rising school-age population, teachers are in demand and can expect diverse progression routes and good prospects for promotion. The range of options for training to teach in the UK means that you can find a programme to suit your learning style and preferences. Navigating the training routes and financial support available, however, can be a challenge. This seminar will help you to find your way, ensure that you understand the process and equip you to make an effective application. Participants will receive an overview of the postgraduate opportunities, in Continental Europe, on English-taught programmes, many in leading European universities. They will also learn about entry requirements, fees and application procedures. Online and distance learning – the realities! Postgraduate study - intellectually rewarding – yes. Potentially enhancing your career and prospects – often. However, there are other factors to consider. What questions should you ask yourself and the provider - and what are the pitfalls to avoid? Gill will consider some advantages and disadvantages of distance education, highlighting the positive and negative aspects you should consider when selecting your postgraduate course.